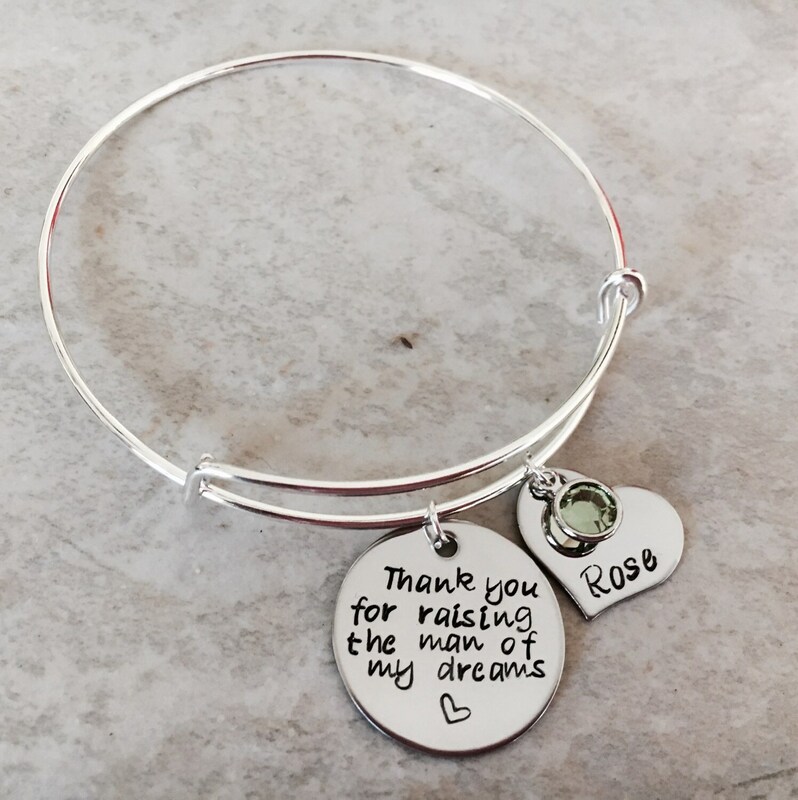 This beautiful bangle bracelet makes a wonderful gift for any mother in law. 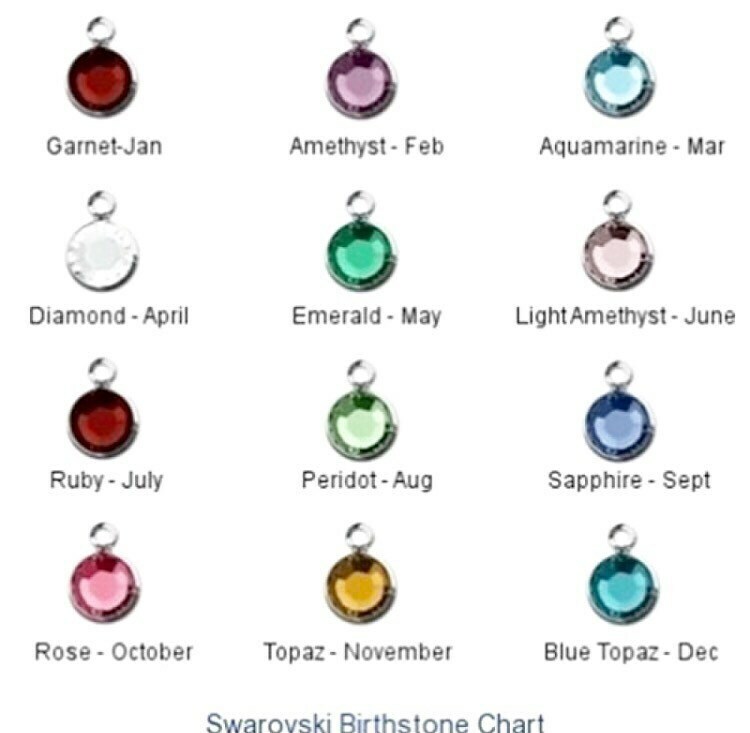 7/8" charm reads, "Thank you for raising the man of my dreams"--yes, "man" can be changed to "woman"
Includes heart charm with name or date and Swarovski Crystal birthstone or freshwater pearl. Bangle bracelet measures 7" and can be adjusted while on the wrist to accommodate a larger or smaller wrist. ******To personalize: please use the notes section found on the check out page to let me know the exact wording you'd like on the round disc and the name or date you'd like on the heart charm. 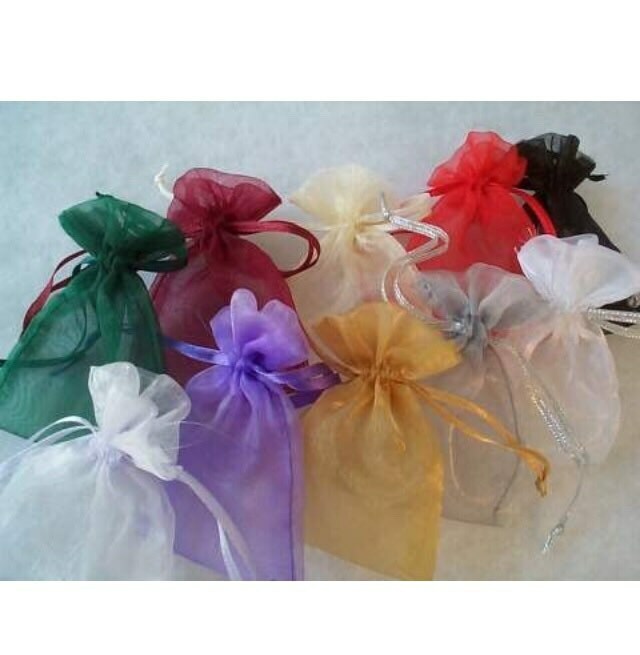 Upon check out, please use the drop down menu provided to select you Crystal color.